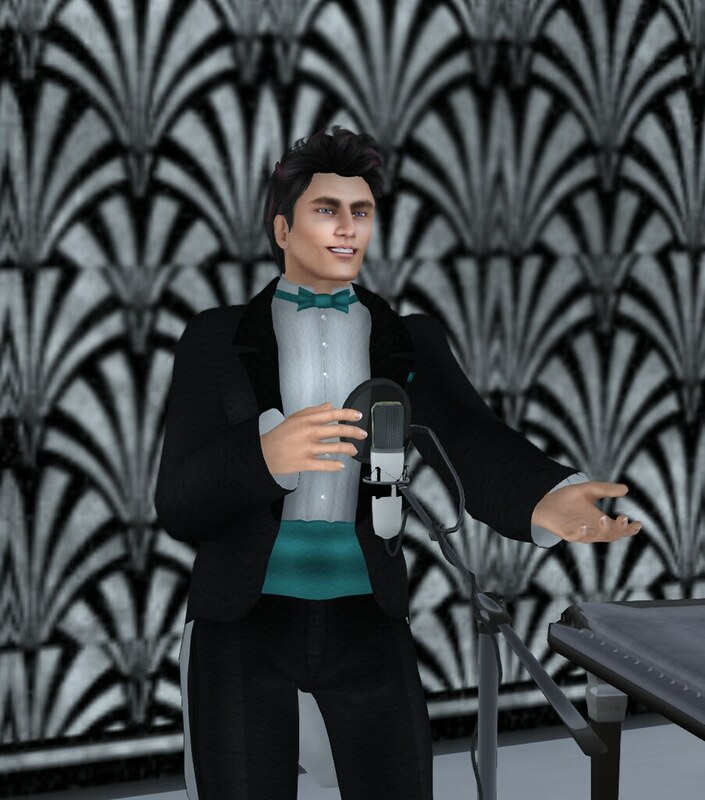 There a new kid in town, and he’s belting out the jazz hits at Club Noir in Second Life. 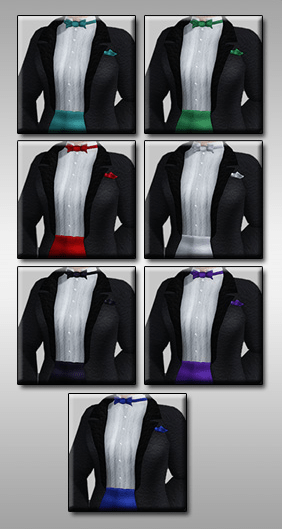 It’s an exciting time for tuxedo fans, because Avatar Bizarre has just released the Niven Tux. Frank Sinatra, eat your heart out, because this fella’s definitely doing it his way. 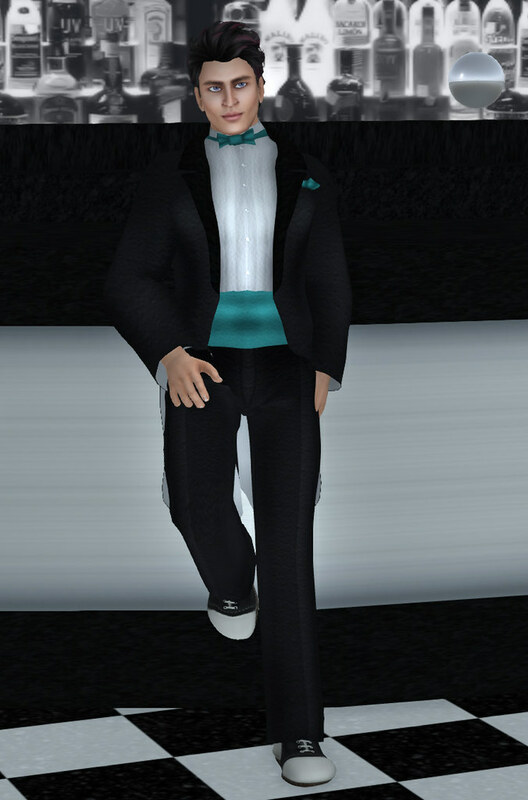 The cool thing about this rigged mesh tux isn’t just that it comes in seven different colors, and includes a nifty color change HUD for the cumberbund, pocket square (Oh how we love the pocket squares! ), and the bow tie. The super cool thing about this tux is it comes in both a male and a female version, because sometimes everyone wants to don the tail coat and bow tie. It’s the height of formal fashion. 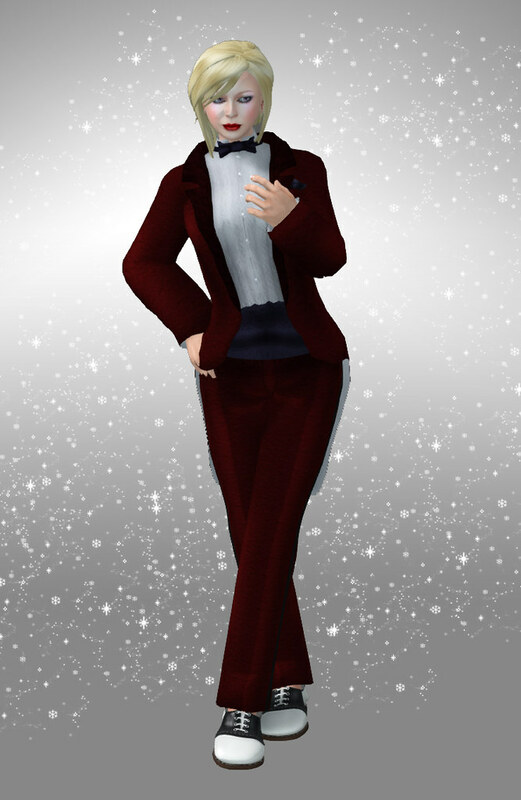 Not only is the tux for that all important James Bond role play, but it’s also great for wedding parties, Hollywood style jazz clubs, and generally looking dapper and amazing. This is where “Cool as a cucumber” comes from. Look at that devil may care attitude. You can only get that from wearing a tux. You can get this gem on the Marketplace and inworld at Avatar Bizarre. 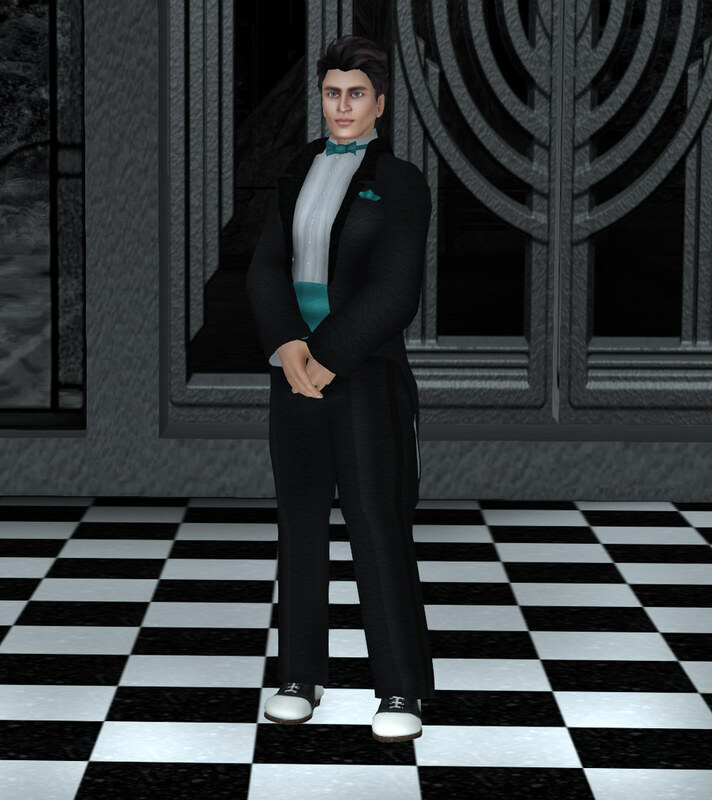 Though the shoes are not included, you can get those at Avatar Bizarre as well. They are prime, grade-A, shiny happy Saddle Shoes (with color HUD).